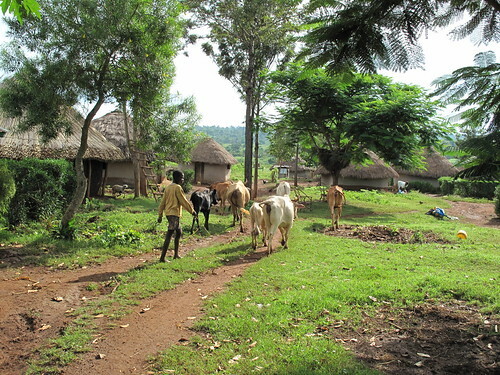 Typical mixed crop-livestock farming in western Kenya. Mixed crop-livestock farming systems currently produce most of the world’s meat, milk and staple crops (photo credit: ILRI/Pye-Smith). The January 2013 issue of Animal Frontiers, the world’s premier review magazine in animal agriculture, features a series of articles on the contribution of animal agriculture to global food security. The International Livestock Research Institute (ILRI) has contributed to this series with a position paper that highlights the direct and indirect effects of livestock on food and nutrition security. The paper also considers the future prospects of mixed crop-livestock farming systems that produce most of the world’s milk, meat and staple crops.